New Year in Late April, Early May – A Lion Has Roared! The Bible gives us a detailed definition of God’s calendar. The Bible and the barley harvest show why the Biblical New Year falls in late April or early May and why we can’t rely on the barley in Jerusalem to determine the start of the year. On April 6, 2016 we set out to find abib barley in fertile California. We found grass, flowers and newly emerging heads of barley. Even the most advanced plants were not even near the state of abib. This was an essential finding which told us the Biblical year would not start in April that year. In Jerusalem they may have found the abib, but in California we started the New Year on May 8, 2016. Genesis 1:14. On the 4th day of Creation, God set up His calendar to identify His appointments. He set “the lights in the heavens to mark the seasons (moed), the days and the years.” It does not say in this passage which one of the heavenly lights would identify the start of the year. Leviticus 23 also tells us that God’s moed are found by counting the days and the months from the first day of the year. “On the fourteenth day of the first month is the Lord’s Passover…” and so on. This first month that is called Abib corresponds to the barley which was the only crop which was in the state of abib.“The barley and the flax were struck, for the barley was abib…” (Ex. 9:31-32) The month is called Abib when the barley crop is abib. Despite this detailed definition from Scripture we still had some questions. When does the month of Abib begin? Should we look for the barley in Jerusalem each year? Why does the barley in Jerusalem appear to ripen earlier than the rest of the world? Is the barley that grows wild in the fields of Jerusalem the original native grain of the ancient Hebrews? After a lot of conversation, correspondence, prayer and additional research, we learned a lot more than we had known about the barley and how it relates to the Biblical Calendar. Here is what we found. Almost anywhere in the Northern Hemisphere where rain-fed barley is grown (called “dry farming”), the crop ripens at about the same time in the year. The ripening of the grain is not dependent on when it is planted or, except in extreme cases, how many rainy or sunny days it receives. Barley that is planted as early as October or as late as February continues to follow the same ripening times in May. As long as the crop continues to get regular rainfall so that it does not go into shock, grain planted late will eventually catch up to the early planting and all will come ripe at the same time. Throughout the Northern Hemisphere, most barley is planted in November, including the barley that is grown in Jerusalem. “Vernalization” is determined by a natural genetic marker that causes the plant to hold off from flowering until after it has experienced a significant cold snap. This keeps the plants from developing flowers too early which would then cause the harvest to be lost to frost or snow. Why don’t we look for barley growing in Jerusalem? We asked why Jerusalem is the only location where dry farmed barley ripens one month earlier than other locations. Those who observe the stage of barley in Jerusalem as a marker to begin the year, claim the barley they find growing wild to be the old, original grain that was grown by the ancient Israelites. But this is not accurate. Genetic studies of 321 varieties of barley by BioMed Central Plant Biology show that the barley remaining in the Mediterranean region has made unique adaptations in order to survive the hotter climate of that region. These grains do not express the specific genetic allele that helps delay flowering until after the cold season has passed. Without the need for vernalization, these grains can flower, develop and ripen earlier than any other barley in the world. Consensus among climate experts is that the temperatures in the Jordan Valley, areas surrounding Jerusalem, and the Nile Delta in Egypt have definitely changed for the warmer since Christ’s day or since the ancient Israel of Bible times. Barley in the Mediterranean region has adapted to these changes in climate. 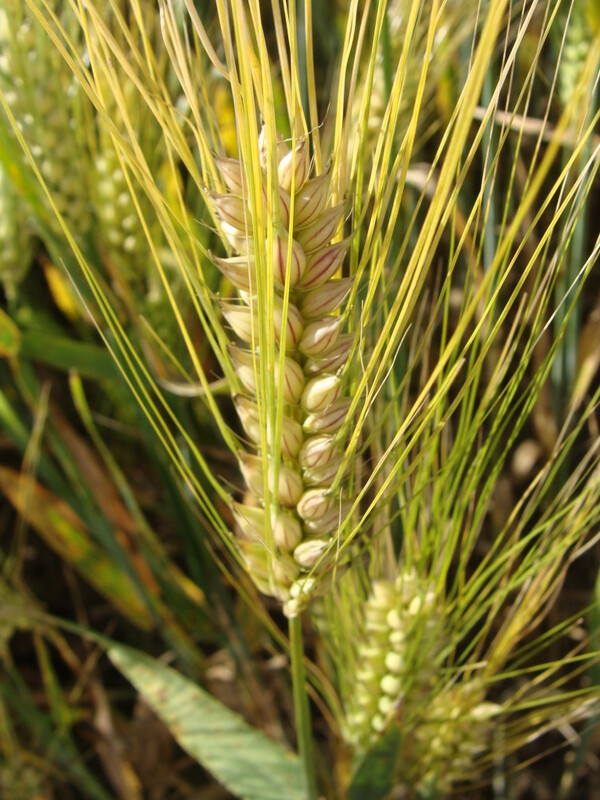 In essence, the only barley that has survived in Jerusalem, are the grains that can flower before the cold snap that is required by other varieties of barley. The old, original grain has died out, possibly through natural selection. And what remains in the Mediterranean region is a genetically mutated strain of barley. Physically, the climate changes have altered the DNA profile of the wild barley growing in Jerusalem. Coupling these physical adaptations with the Biblical description of the region tells us that Jerusalem no longer reflects the growing conditions of the Exodus. Christians do not need to look for wild barley in Jerusalem each year. Any dry-farmed barley crop that comes to full ripeness will do. Whether you are in the Northern or Southern Hemispheres, you can look for this crop in the area nearest to where you live in order to identify the season that marks the month of Abib. If you are unable to observe a beautiful field of barley yourself, here are some things that may help you. Do We Need to Observe the Barley? The ripening of the barley is only a Biblical marker to help us identify the correct month of the year. There is no Biblical command that tells us to observe the barley crop or pick a wave sheaf of barley in the first month. But following the pattern of the ripening of barley will lead us to the correct month that God called the month of Abib—the month in which the barley was ripe in ancient Egypt, and the first month of the Biblical Calendar. 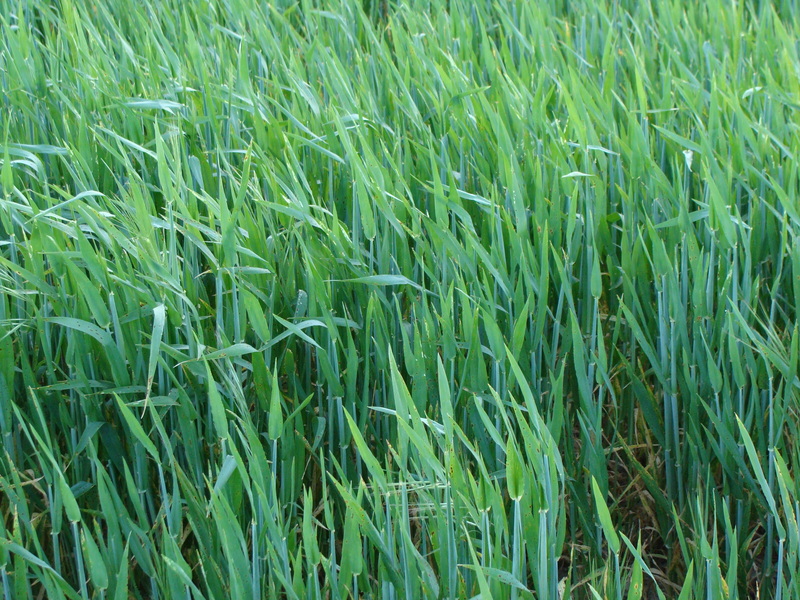 The genetic research into Mediterranean barley done by BioMed Central. God had asked the Israelites to worship Him in the place where He set His name (Deut. 16:16). At first they came to worship Him in Shiloh (Jer. 7:12). After King Solomon built Him a house He placed His name in Jerusalem (1 Kings 11:36). What we can see here is that God can relocate the place where He sets His name. God promised the Israelites that if they broke His covenant He would leave their land desolate (Lev. 26:14-15, 31-35). This is the experience of both Shiloh and Jerusalem. In Jeremiah 7 we can read the story about how God is comparing the impending desolation of Jerusalem to the experience of Shiloh. Paul also showed a change in the descendants of Abraham to include believers instead of blood relatives of Abraham. At the Cross, God rejected Jerusalem as the place where He set His name­. Though this land used to house the nation that God established as His witnesses, that role changed with Christ’s death. At the rejection of God’s covenant, God rejected Jerusalem and abandoned it to become desolate. The current climate of the Jordan Valley and surrounding regions no longer remains a land flowing with milk and honey. It no longer shares the same conditions as the Nile River Delta in Egypt where God struck the crop of barley with hail (Exodus 9:31). Of all locations in the world, unless you specifically live in Jerusalem, this would be the last place to go in search of ripening barley as a sign to mark the beginning of God’s Biblical year. Today, God wants us to worship Him in our hearts, in whatever location we are, as Scripture predicted. USDA “Usual Planting and Harvesting Dates for U.S. Field Crops,” United States Department of Agriculture, National Agriculture Statistics Service, Agricultural Handbook Number 628, December 1997. Casao, et al. : “Adaptation of barley to mild winters: A role for PPDH2.” BMC Plant Biology 2011 11:164. http://www.biomedcentral.com/1471-2229/11/164.